i LOVE ranch. it is my favorite dressing hands down. if i could, i would put it on everything. when i saw this recipe on all recipes, i definitely wanted to try it, with my own unique touches. instead of fresh rosemary, i used dried rosemary in this dish. 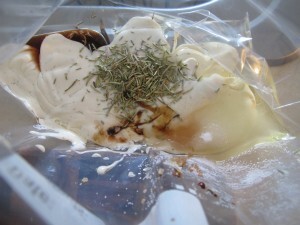 dried herbs are more concentrated, allowing you to use less, and therefore spend less. they also last longer in my pantry. 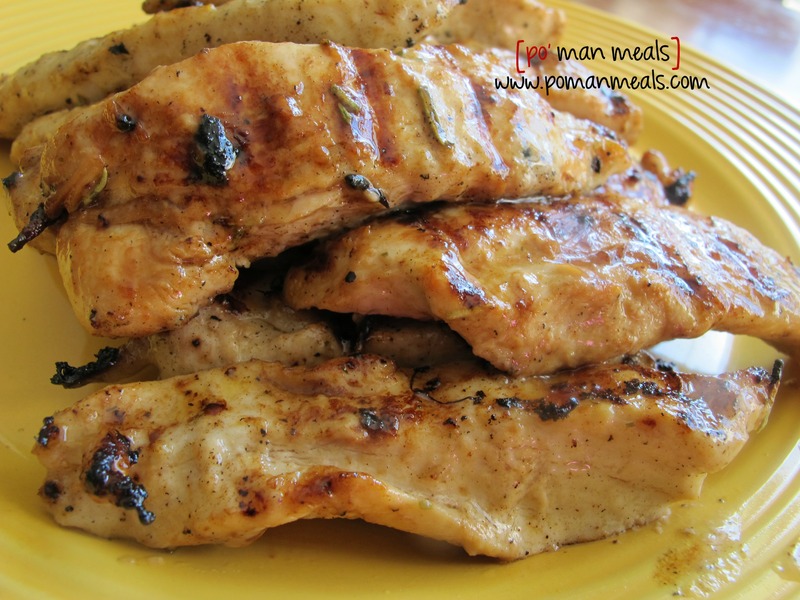 this has to be one of my chicken favorite recipes, especially my oldest son’s. 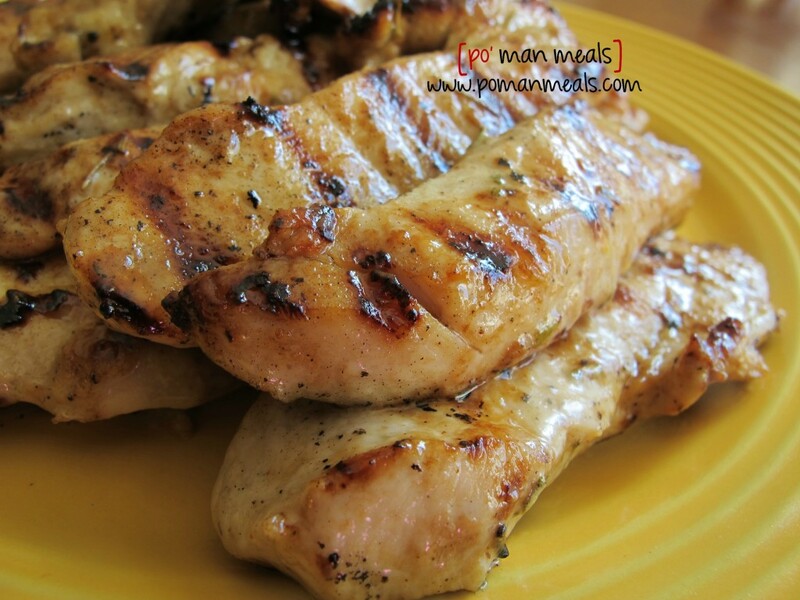 the chicken is amazingly tender and full of flavor. in a plastic gallon bag combine canola oil, ranch dressing, worcestershire sauce, rosemary, salt/pepper, lime juice, red wine vinegar, and sugar. whisk to combine. 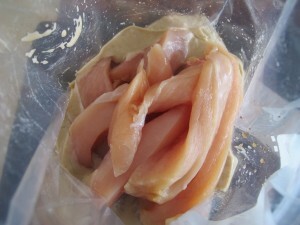 place chicken strips into the bag, squeeze out excess air, seal the bag and coat with the marinade. place in a bowl, just in case the bag leaks and marinate in the refrigerator for at least 30 minutes, preferably over night. preheat the grill for medium-high heat. lightly oil the grill grate. 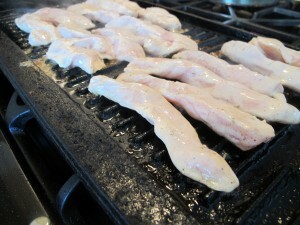 place chicken strips on the preheated grill (discard marinade). cook on each side for 3-4 minutes or until the chicken is no longer pink in the center, and the juices run clear. This recipe looks so good! I can’t wait to try it. Made this for supper tonight. Was really good! I’ve been making this for a year or two. I’ve actually panicked when I couldn’t find the recipe, so now I’ve pinned it, printed and added to my cookbook. This is absolutely DELICIOUS! 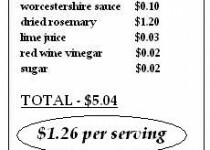 Bring this to a barbeque in a ziplock bag. 10 minutes on the grill and people will love you. Thanks for a great recipe! I wonder how good it would be in the oven….